It’s a good day for pumpkin stencils. Hot on the heels of SNL’s announcement that you can carve your very own Debbie Downer and Stefon pumpkins comes news of even more culturally relevant stencils. And, better yet, you can decide which type of cultural literacy you want to represent, via the esteemed tradition of hacking apart the skin of an oversized fruit. The folks at Decider have printable PDF copies of five pumpkin stencils, free for the taking. For the young (or young at heart—you still got it, Aunt Susie! ), there’s an adorable baby Groot. For the American Horror Story: Freak Show fan, there are two options: the conjoined Tattler twin heads of Sarah Paulson or the nightmare-inducing visage of homicidal maniac Twisty The Clown. For those of us who have done little else since Netflix started streaming Gilmore Girls, the option of Emily Gilmore staring disapprovingly at you is arguably the most terrifying stencil of all. 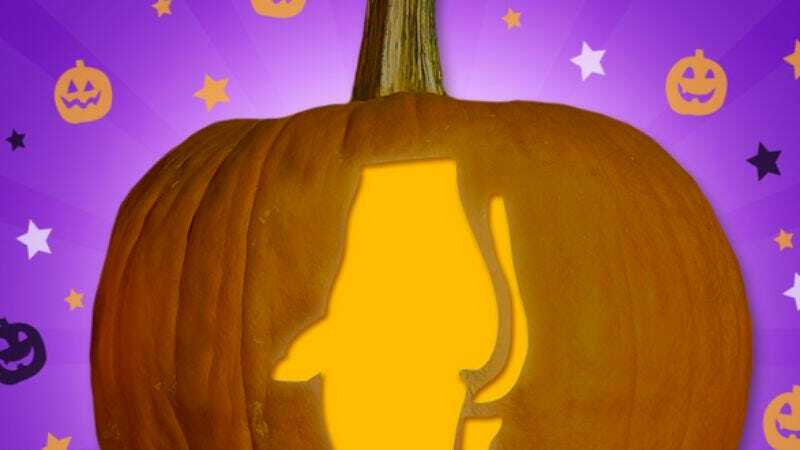 But, in a clear case of saving the best for last, there’s the one that really speaks to the Halloween-loving child in all of us: a design of Ben Affleck’s side peen from Gone Girl. Nothing says, “I can’t wait to go trick or treating!” quite like a lovingly carved, orange-hued totem of the next Batman’s wang. Where will you put the “best neighbor” award the parents of all the youngest children on your block will surely give you? Probably best to go with hanging it above the toilet—you know, as a conversation piece.